Keep your feet toasty in sub-zero temps. Heat to treat your feet! 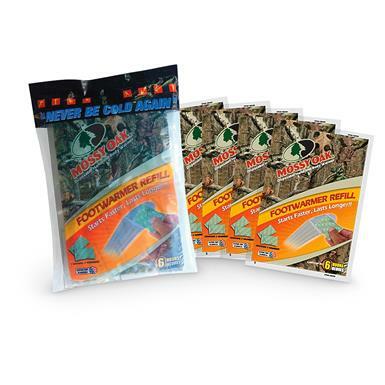 Each Foot Warmer contains an inert mix of iron, charcoal, salt, water and vermiculite. Exposed to air, an exothermic reaction is created providing consistent and long-lasting heat. Add 'em to your boots, shoes or socks with the extra pocket by the toes. Even stow one in each pocket of your parka to warm up your hands. Beats the cold... with authority!